Pioneers explored land west of the Appalachian Mountains in the 1700’s. Colonists began filling up the east coast with towns and farms. Under the Proclamation of 1763, it was against the law for colonist to settle American Indian lands west of the Appalachian Mountains. This land was set aside for the Native Americans. Colonists continued to travel and settle west across the mountains. They traveled in large wagons filled with food and supplies. Early roads were rocky, dirt paths with no bridges over rivers. Settlers also traveled in flatboats on rivers which was faster and more comfortable than on the roads. A flatboat was a large rectangular boat partly covered by a roof. Settlers also traveled on canals such as the Erie Canal. A canal is a waterway built to connect bodies of water for boat travel. Daniel Boone was a hunter and pioneer. A pioneer is one of a group of people to enter or settle a region. In 1769, Boone and some other men cleared a narrow road through the Cumberland Gap. This route through the mountains was called the Wilderness Road. Boone guided his family and others across the mountains to settle in the west. 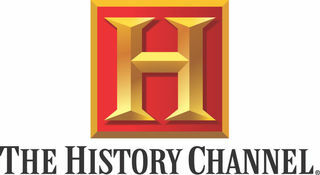 They started towns such as Harrodsburg and Boonesborough in Kentucky. By the late 1700’s thousands of settlers crossed the Appalachian Mountains looking for good, inexpensive farmland and new opportunities in the Ohio and Mississippi river valleys. Settlers moved into the frontier. A frontier is the edge of a country or settled area. American Indians were already living and farming on this frontier land. While Indians and settlers fought over the land, they also borrowed customs and ideas. Frontier live was very difficult. —Pioneers had to cut down trees to make homes. They had a small amount of furniture, a table, bed, spinning wheel, and a few dishes. —Settlers had to grow their own food and raise farm animals. —They lived far from other people especially their family members. —The frontier men and women had to live like the American Indian men and women. —Although life was difficult, many settlers thought their life was better off than before. ​American Indians signed a treaty to allow settlers to hunt on the land—not to own the land. Settlers wanted to own the land. In 1774, some settlers murdered Chief Logan’s family over a land dispute. Chief Logan led many attacks against settlers after his family was killed. This was the beginning of many years of fighting between the settlers and American Indians. John Adams was the second President of the United States. He belonged to the Federalist party. This group believed the national government should be stronger than the state governments. The Federalists wanted to make laws to help manufacturers. When Thomas Jefferson became President, the Federalists gave up power. Jefferson belonged to the Democratic-Republican party. This group believed state governments should be stronger than the federal government. They wanted to help farmers. Farmers wanted to ship their products down the Mississippi River to Louisiana. This land belonged to France. President Jefferson sent representatives to meet with the French ruler, Napoleon Bonaparte. They asked Napoleon if Americans could keep trading on the river. Napoleon needed money to go to war against Great Britain. He sold Louisiana to the United States. 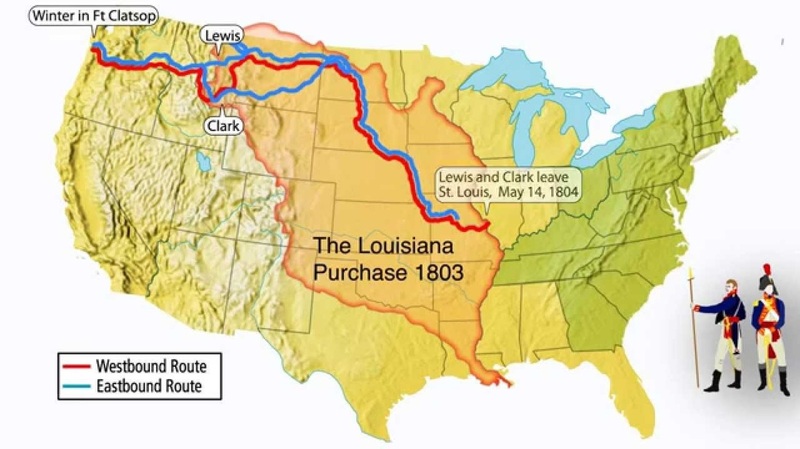 The Louisiana Purchase doubled the size of the country. Jefferson sent soldiers to explore Louisiana. Meriwether Lewis and William Clark led the group. It was called the Corps of Discovery. Jefferson wanted them to study the land, plants, animals, and climates of the West. He also wanted the corps to learn about the cultures of the western American Indians and to look for a water route to the Pacific. Sacagawea, the group’s interpreter, was an American Indian woman. She helped the corps speak to American Indians. The corps left in 1804 and returned in September 1806. They learned about the land and the people, but did not find a water route to the Pacific. In 1805 Zebulon Pike led a group to find the source of the Mississippi River. They explored Missouri and went north to Minnesota. They learned about the land, but did not find the river’s source. Later they explored the Arkansas and Red rivers.The Corps of Discovery and Pike’s explorers led the way for traders and pioneers in the west.